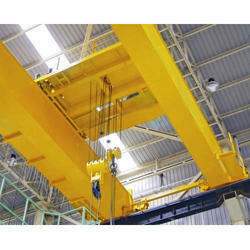 Our product range includes a wide range of single beam eot crane, single girder eot cranes, eot cranes, double beam eot crane, electric overhead traveling cranes and overhead travelling cranes. Single Girder EOT Cranes are designed to cover a wide range of modern industrial demands, providing excellent value for money with no compromise on performance. MH Cranes single girder crane has reduced wheel loads, saving costs on new support structures and increased lifting capacities on existing structures. 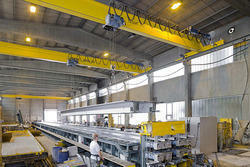 MH Cranes offer various crane beam and end carriage constructions to ensure optimum use of headroom available. 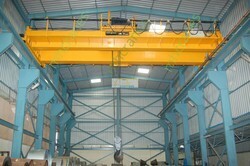 Hoists are offered as standard in low headroom format running on the bottom flange of the beam. 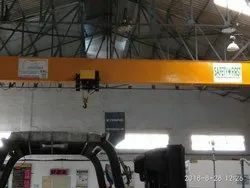 Our dominance over the market as the leading manufacturer and supplier remains directly attributable to our offered Overhead Traveling Cranes. 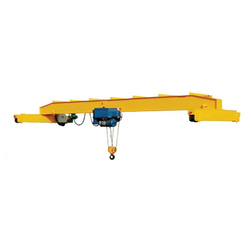 The offered cranes are designed utilizing excellent quality raw material under the observation of our experienced professionals in conforms to the set global norms. 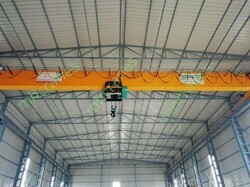 Double Girder EOT Crane give a better height of lift in a given headroom as the hook travels between the beams. 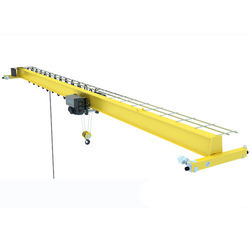 They are available in higher capacities than single girder and for heavy duty applications they can be supplied with open winch or closed hoists.